Hello everyone and welcome back to my website! Today's eyeshadow tutorial I have for you was one I was super excited to do! 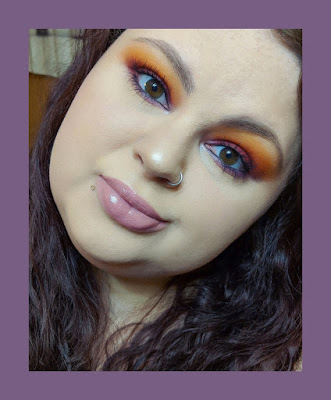 About a year ago I did a similar look using the BH Cosmetics Take Me Back to Brazil palette, which turned out beautiful. 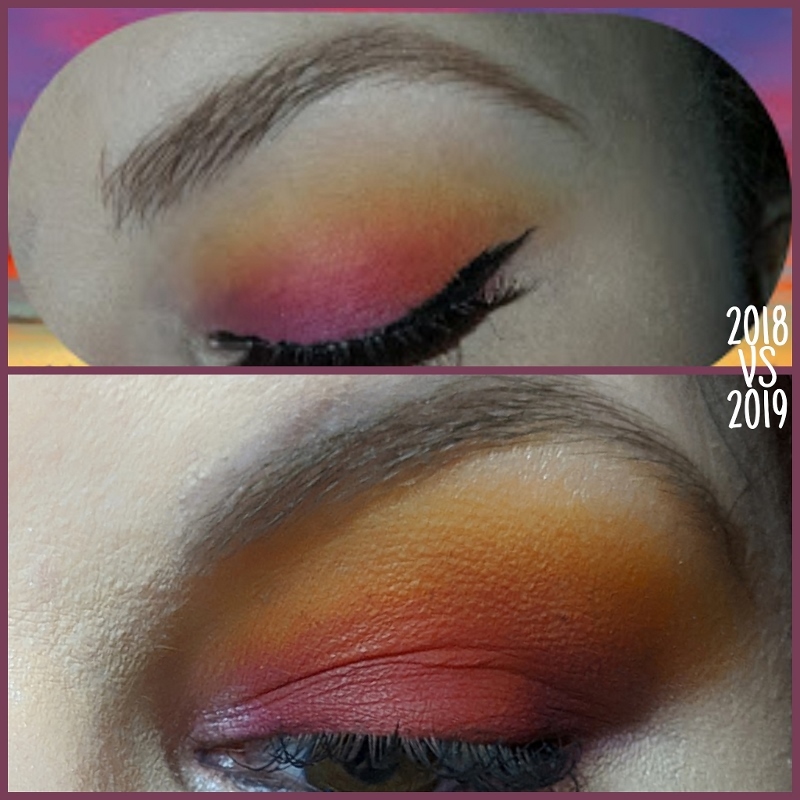 I decided to give it a second attempt, using the James Charles x Morphe palette! With the difference in quality of the eyeshadows and my skills improving, I thought it'd be a fun idea! I did do this look about two weeks ago and honestly forgot I had done it and realized it a few days ago. This look is so much more pigmented and blown out looking. It does look like it has less purple, but that's due to the lighting being a little weird and the purple being taken over by the red lol. In the regular selfie (not the close up) you can see more of the purple! Let's get into this boi's! Stating out the look, I primed my eyelids with the Wet n Wild Photofocus Eye Primer. A tacky base makes all the world of difference when using this palette! Concealer does this weird thing with the pigments and makes them go dark. 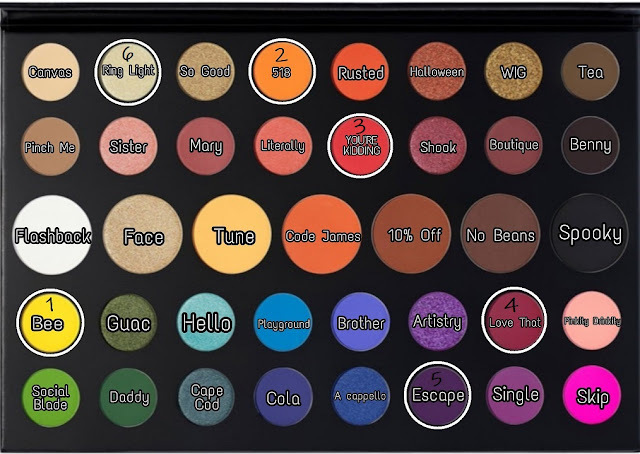 Here in the image of the palette, I have all 6 shades I used circled and numbered to make things a little easier. On a large blending brush I picked up the shade Bee (1) and backed it into the outer corner and the buffed it out almost to the brow bone. Leave a little room so you have space to put a highlight shade. On a medium size blending brush, I picked up 518 & You're Kidding (2 and 3) and blew them out on the crease, making sure the yellow was still visible. On a flat shader brush I picked up Love That (4) and packed it all over the lid, avoiding the outer corner. On a smaller blending brush I blended the edges of Love That into the crease. I then used it to pick up the shade Escape (5) and darkened up the outer corner to bring in some more depth. On a pencil brush I picked up Ring Light (6) and put it on the brow bone and inner corner. Using the same pencil brush, I took Escape and Ring Light and put them on the bottom lash line, blending them into each other! That is the final look for the eyes! The rest of my face I did like I normally do, Which you can see me do in any of my YouTube videos! Linked below. I hope you love this look as much as I do. If you want to recreate this look, Tag me on social media! I'd love to see that yours turns out! Please remember to follow me on social media, I just hit 1k on Instagram and i'm so excited!